Andreas Struppler Born in Munich in 1964, he worked in various workshops before studying architecture and design at the University of Kassel. He gained valuable experience in design studios in Milan, Munich and... Read more Berlin before opening his own design workshop in 1992: Andreas Struppler Design in Munich. Distinctive and clear products have been his trademark since then. For companies like Sedus, Interstuhl or Wittmann he has designed successful products that reflect his philosophy: “convenience and intelligent utility for offices, leisure or the home”. Temptation Four Adjustable Desk Bench offers a high degree of ergonomics through innovative design. 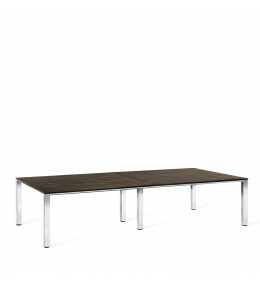 Temptation Prime Meeting Tables are made using real wood veneers with solid steel legs for executive offices. Temptation Prime Management Desks are made using real wood veneers with solid steel legs for executive offices. Temptation high desk is workplace media table for informal meetings encouraging staff to be more creative. 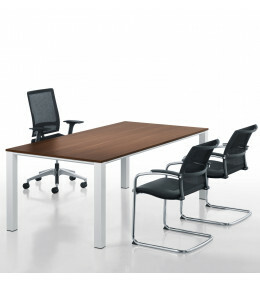 Attention T Conference Table is height adjustable table, providing sit-stand options in meetings. Temptation Twin adjustable double workstations create ergonomic office solutions. 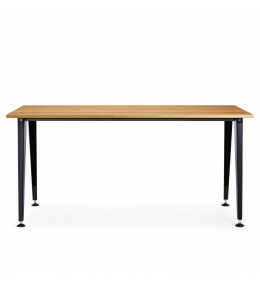 Temptation C Height Adjustable office desks offer gas and electric adjustment desk models. 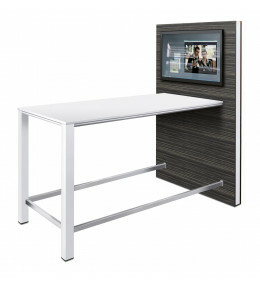 Attention A Desks for modern offices with adjustable legs (720mm - 760mm) and choice of solid wood desk tops.